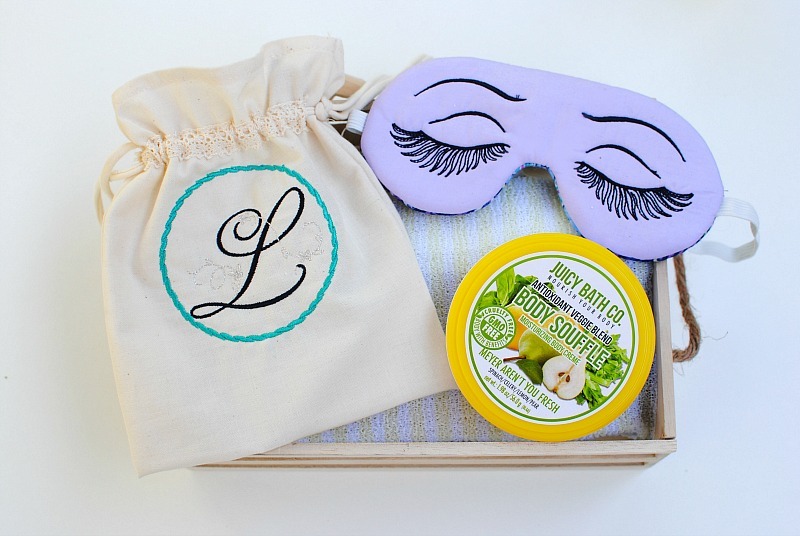 Mother's Day is just around the corner and what better gift for Mom than the gift of relaxation! 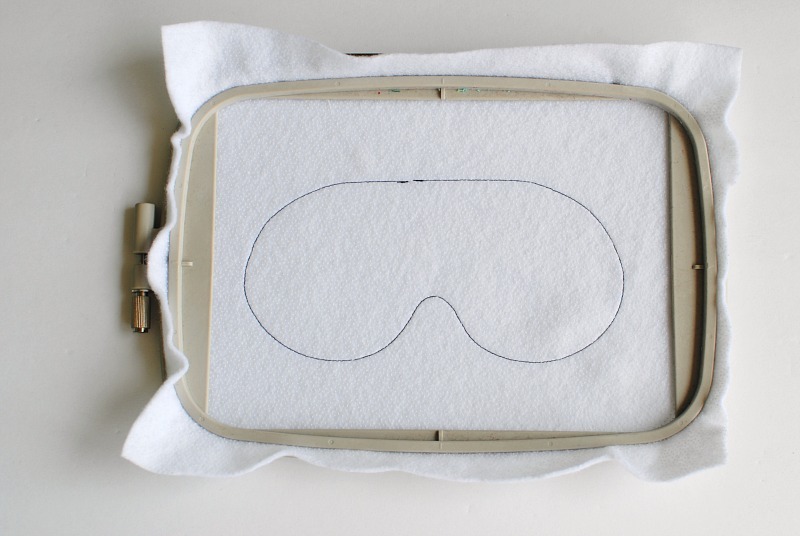 I love these Stitch 'N' Turn Sleep Masks from Embroidery Online. They come with 3 cute designs and a blank one to customize. 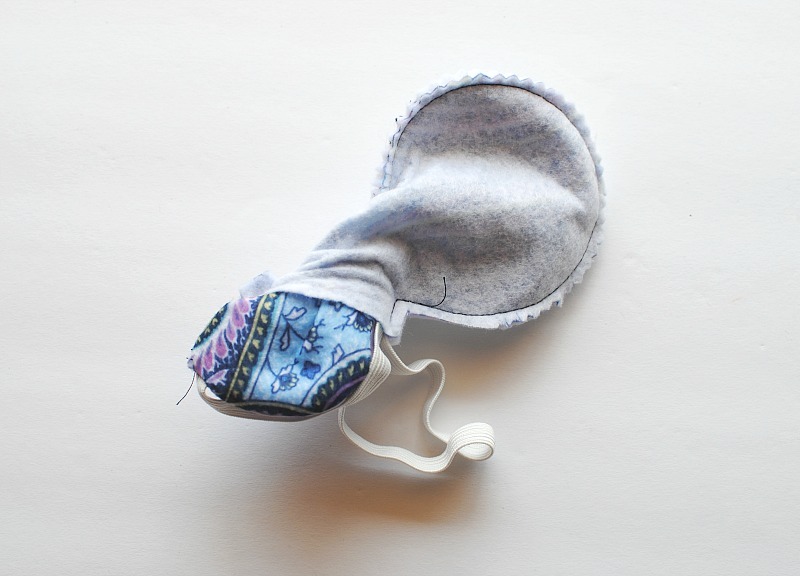 Add these Sleep Masks to a Spa Gift Basket and it's my go-to for handmade gifts. 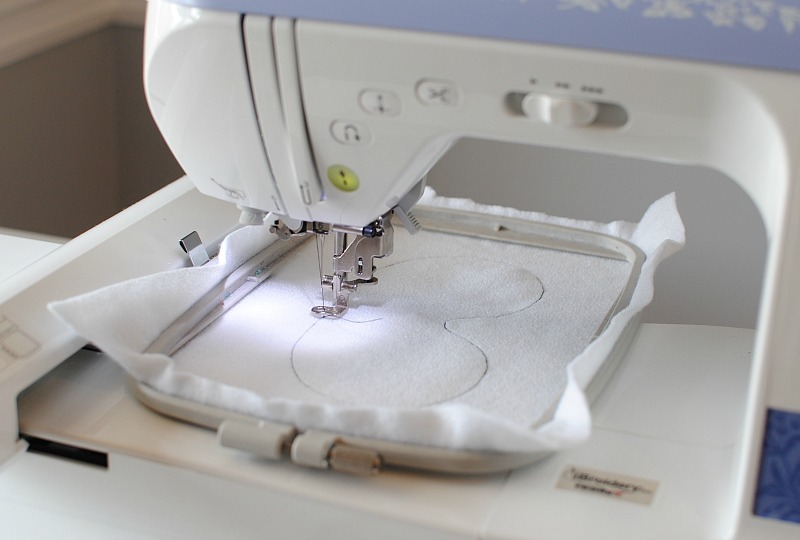 Not just for Mother's Day, these make all around gifts for a bridal party (customize the front embroidery to Mrs and bridesmaids names on the front), baby shower, birthday, Christmas, and everything in between. 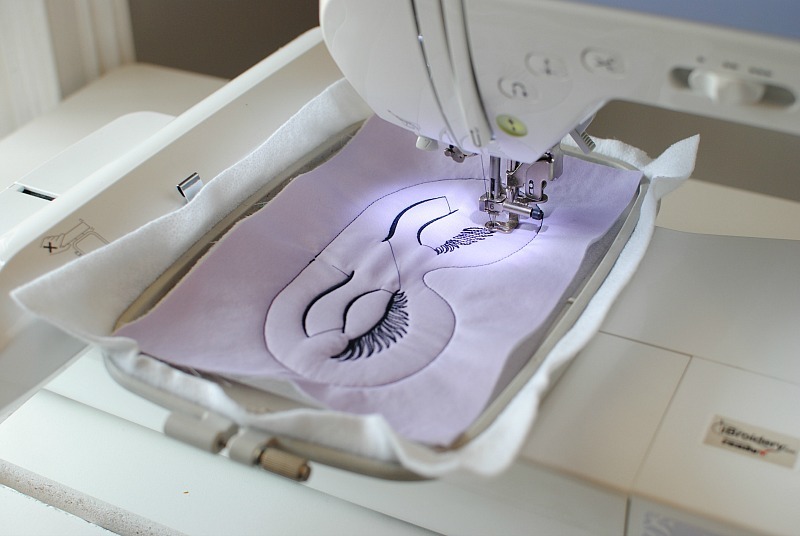 See how to make these below and oh the possibilities of Machine Embroidery are endless! 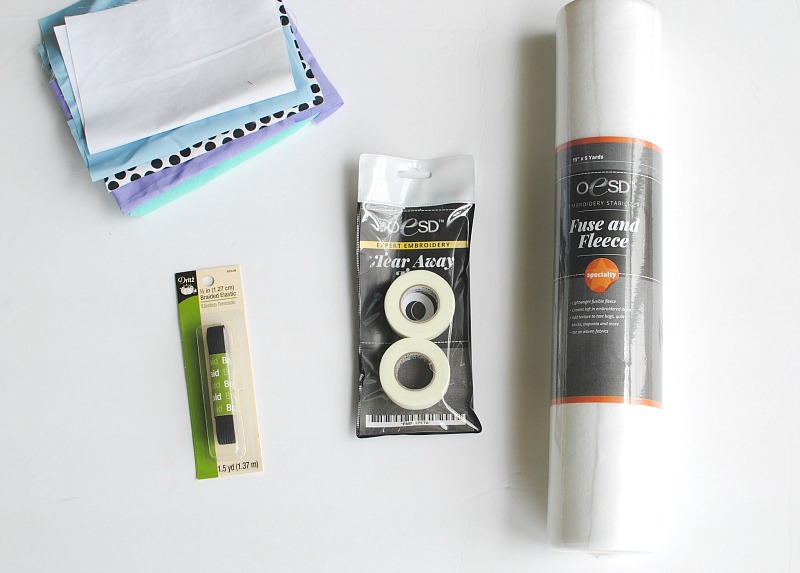 OESD Fuse and Fleece 1- Fit to hoop, 1 - 6" x 10"
OESD Fusible Woven 1- 6" x 10"
Fabric (exterior and liner) 2 - 6" x 10"
Dritz Braided Elastic 1/2": 17.5"
Cut your front, back, and fusible woven pieces out each measuring 6" x 10". Hoop one layer of Fuse and Fleece fusible (shiny) side up. 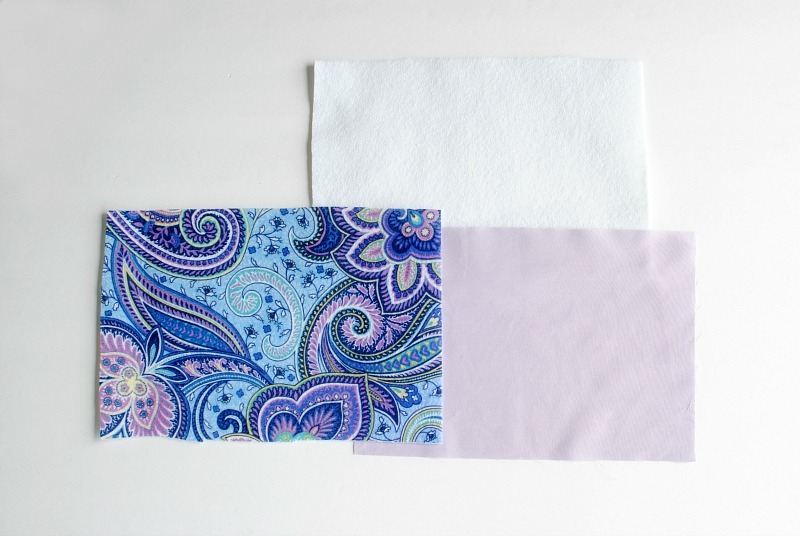 Fuse the Fusible Woven piece to the front fabric piece. 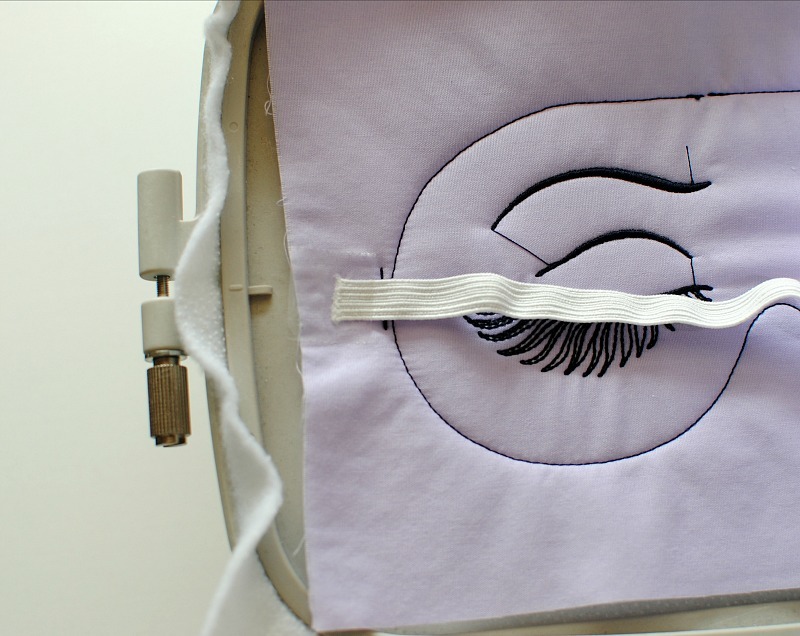 Place over the placement stitch with right side up. Use the TearAway tape to secure on the sides. 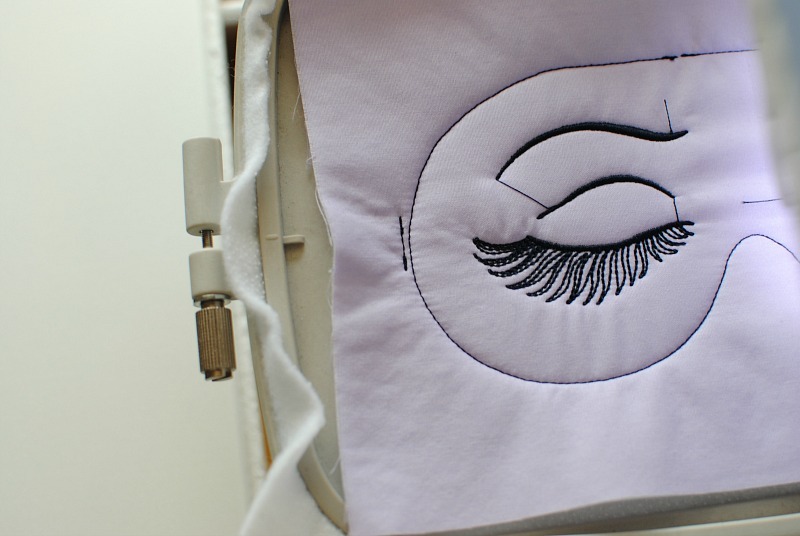 Stitch tackdown and continue the embroidery design. Cut elastic to 17.5" piece. 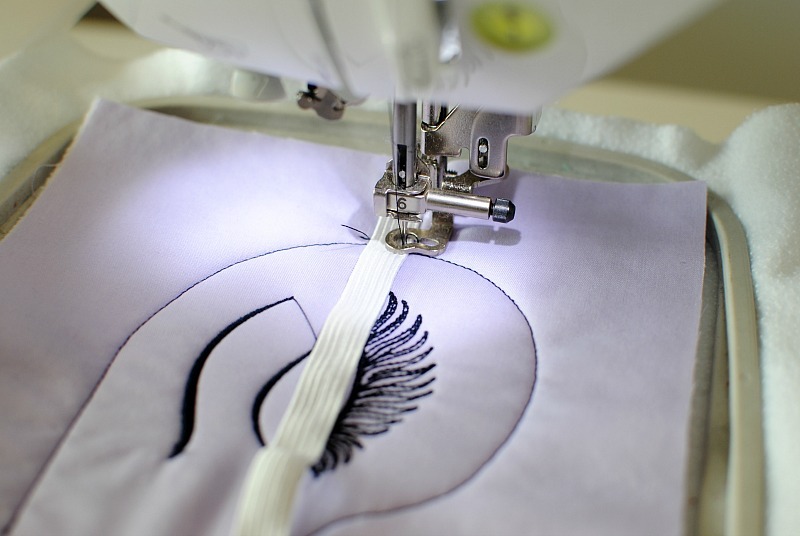 Place one end of the elastic over the placement line so the cut edge extends 1/2" over the line. Tape in place. Stitch Left Side Elastic Tackdown. Repeat steps for the right side making sure the elastic is not twisted. It should look like this now. 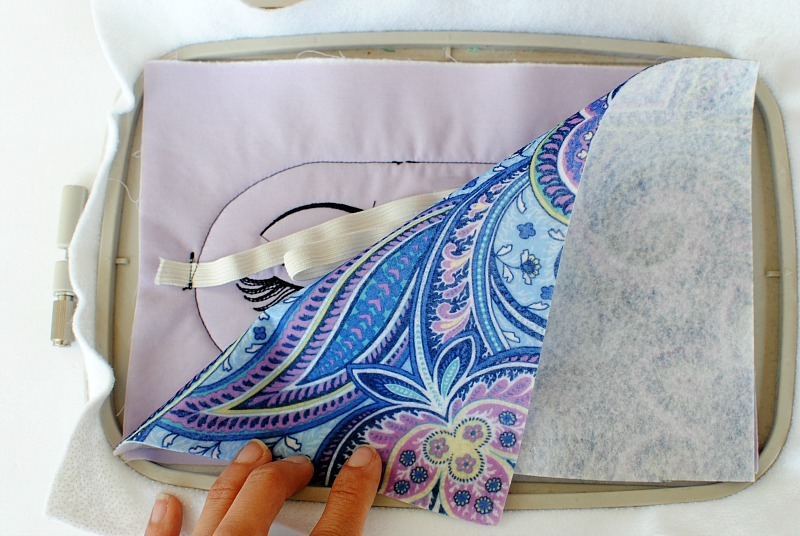 Use the TearAway tape to tackdown the excess elastic in the center. 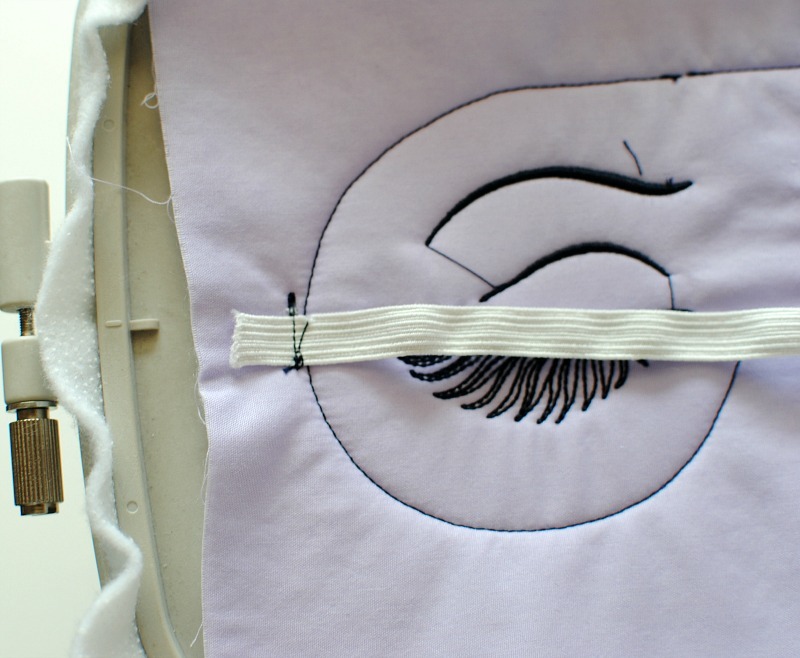 Place the back fabric right sides together over the front piece (still in the hoop). Secure with the tape on each side. 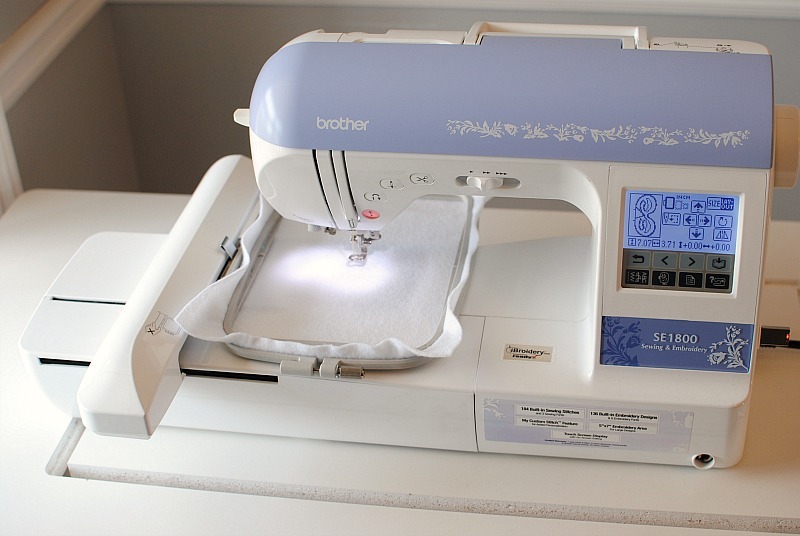 Stitch Seam using a color that matches the fabric. Remove from hoop and cut seam allowance down 1/4". Clip the curved edges. Pull right side out through the opening. 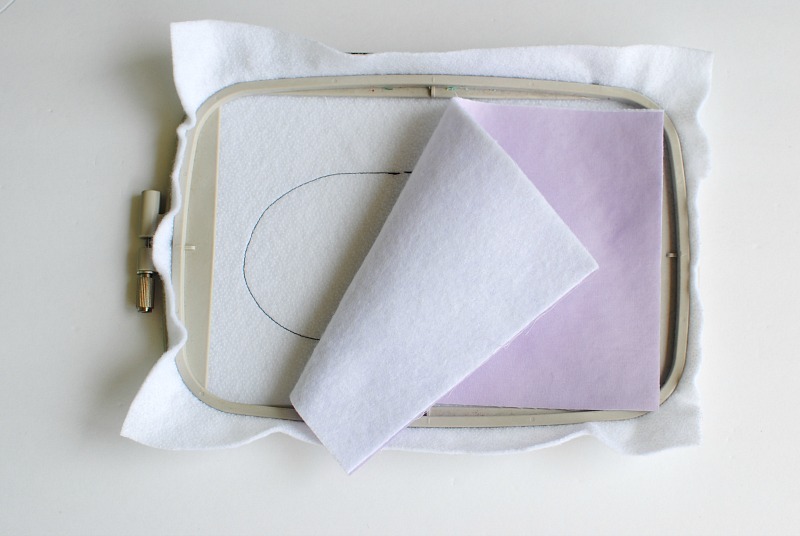 Fold in seam allowance of opening, press, and stitch closed. 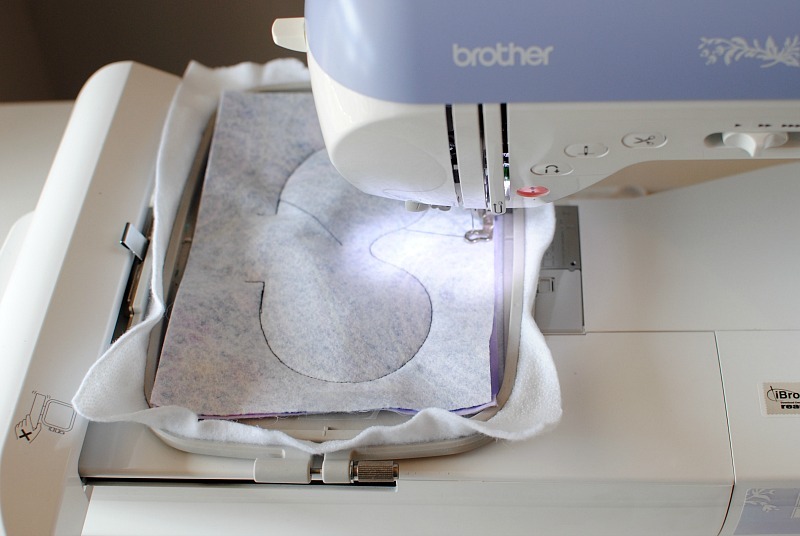 You can hand sew this with a blind stitch or top stitch with your machine (in this case I'd continue the top stitch around the perimeter to keep things consistent). I couldn't help but make a few for EVERY momma I know. 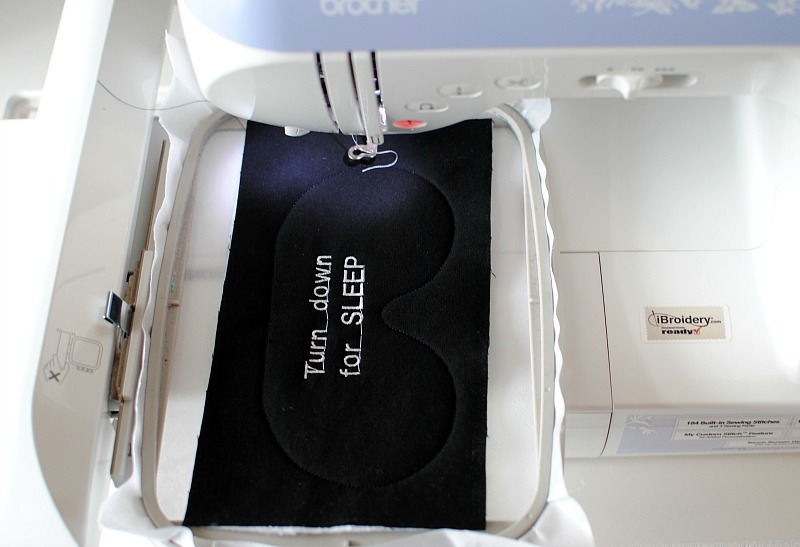 I love the blank one you can customize the front with your own embroidery or leave it blank with fun prints. 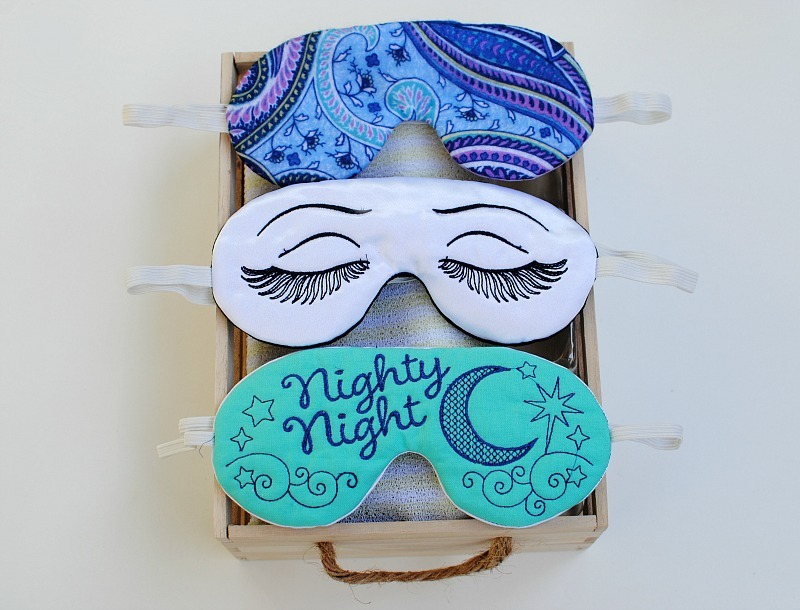 Add these Sleep Masks to a little Spa gift basket and you got the perfect gift for Mother's Day. These in general make great presents for all occasions. I like to put them in stockings around Christmas, bridal parties (embroidery the Mrs_ on the front or bridesmaids names), baby showers, birthdays, etc. The options are endless. ***In collaboration with Embroidery Online. So pretty. 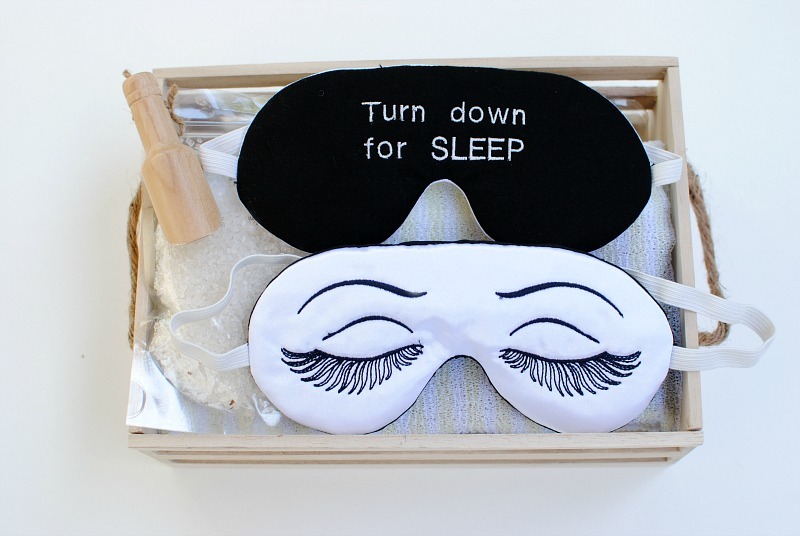 I'd love to make one of these but I can't sleep with a sleep mask. 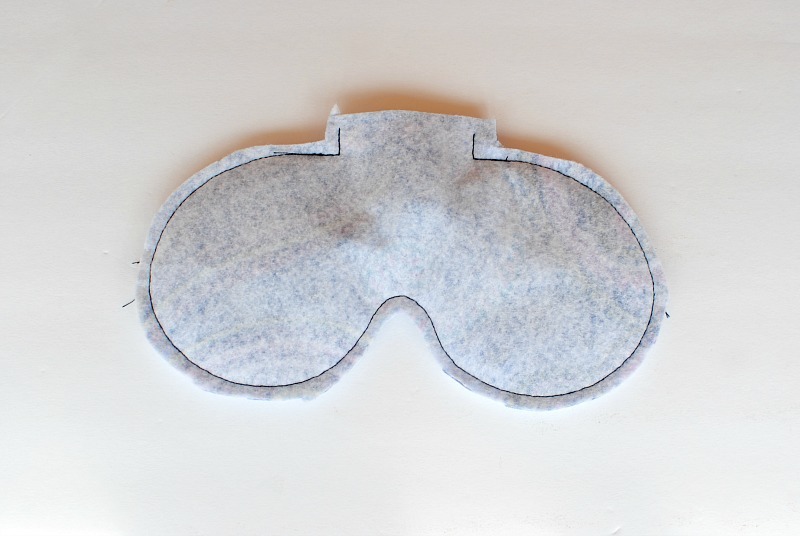 Beautiful sleep mask you made. I will try to this. The postings on your site are always excellent. 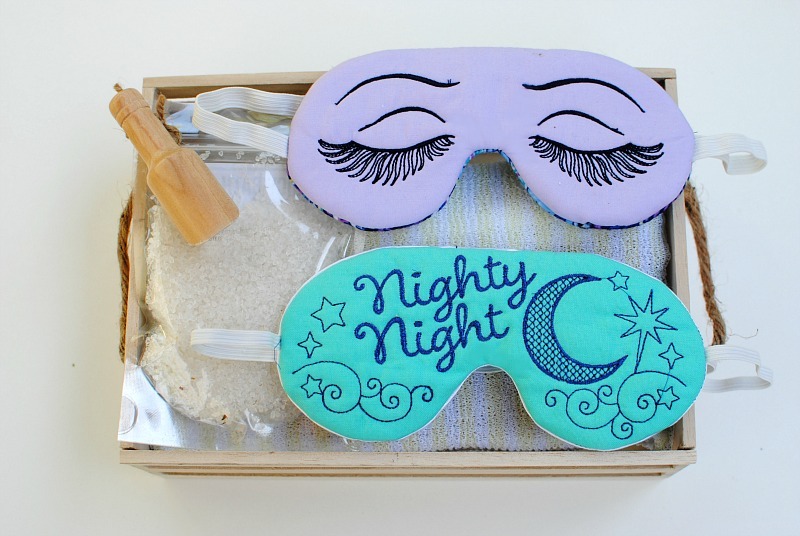 So cute sleep mask! 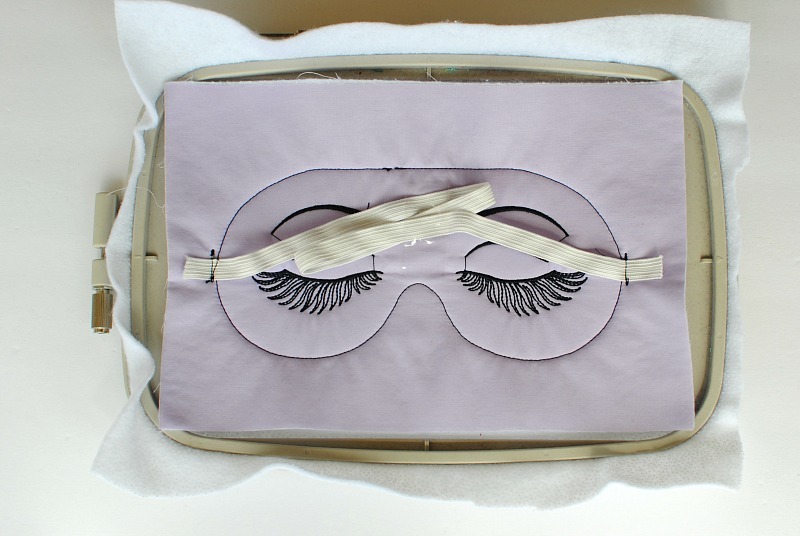 I'm ready to make this sleeping masks, it is much cheaper than buying them. Thanks so much for the wonderful article. 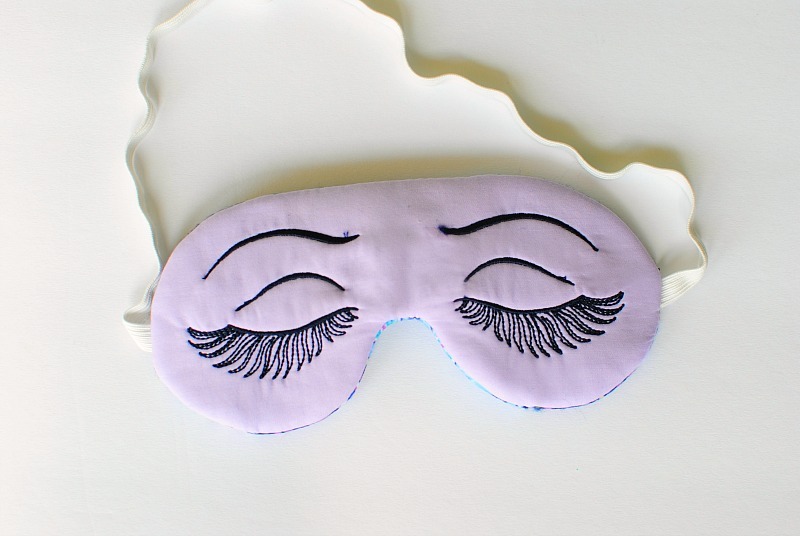 The sleeping mask hired you to do beautiful. I think this is a meaningful gift. It is quite beneficial, although think about the facts when it reaches this target. Thank you for sharing. Lowest fare on flight from cheaptickets. Cute Mothers Day DIY ideas for kids.